Gazebos and Pergolas: Which One is Right for You? If you’re thinking about adding a vinyl shade structure to your yard, gazebos and pergolas are two of the most popular options. Both of these structures are beautiful additions to almost any outdoor space, but they are also very different in looks and construction. This begs the question: Which one is right for you? 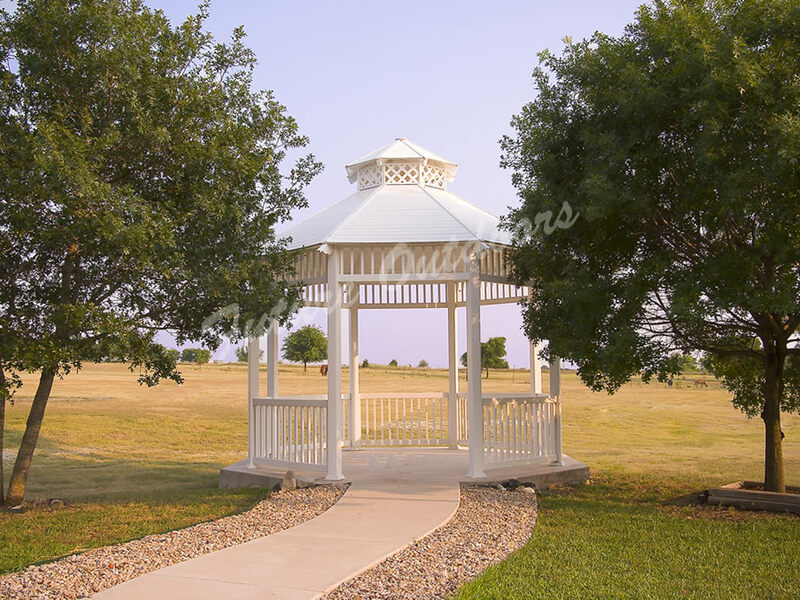 Gazebos are generally larger structures that form a beautiful centerpiece for a yard or garden. Most vinyl gazebos are octagonal, though there are also many that are round or hexagonal. They always have a roof, and often have railings and a raised porch or deck with stairs. Pergolas, on the other hand, are relatively simple structures made of vertical beams and an open cross-hatched roof. 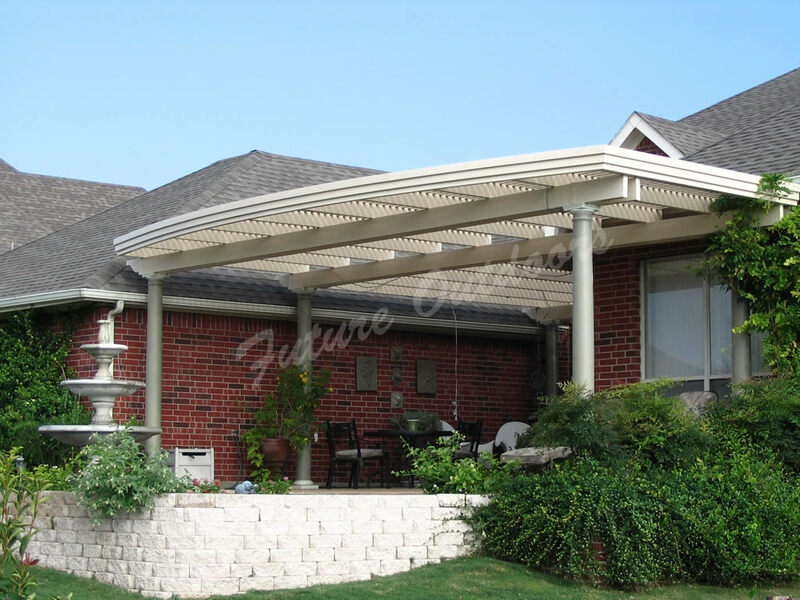 Unlike a gazebo, a vinyl pergola is generally built over either open ground or a concrete pad. In some cases pergolas have lattice walls that can host climbing plants or vines. Both gazebos and pergolas are long-lasting, durable structures that will keep their looks for many years. Vinyl gazebos and pergolas won’t yellow, chalk, or fade, and they’re strong enough to stand through high winds, hail, and more. Choosing between a pergola and a gazebo can be tough. You’ll need to think about what you most want in a shade structure and how you plan on using it. For people looking for an outdoor space for entertaining, such as serving meals or holding events, a vinyl gazebo is tough to beat. Because they generally have full roofs and floors, it’s easy to use one as a pavilion or outdoor dining room, even when it is raining. They’re also perfect for parties and gatherings. Many owners wire lights to their gazebos to create a comfortable outdoor space for all hours of the day. In contrast, a vinyl pergola is best used as an accent piece for a garden, poolside, or patio. Pergolas can be visually striking, especially if you allow vines and flowers to climb the outside. However, pergolas don’t provide as much shelter as gazebos do, so they aren’t well suited to use in rain or wet weather. No matter which one you choose, our experts at Future Outdoors will make sure your structure is built to last and looks great. Call (972) 576-1600 today to learn more about your options, get a free quote, and start the process. Or, visit us on Facebook to see pictures of some of our past projects and read reviews from other customers.